Former Real Madrid head coach Zinedine Zidane has confirmed that he would be back to coaching soon, according to report in Spanish Media. Zidane led Real Madrid to three Champions League titles in a row before resigning as Los Blancos coach during the last summer and he is been linked with the coaching job at Manchester United. 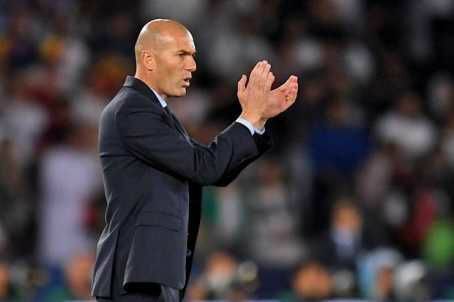 Zidane has refueled the talk with a report suggesting that he would like to sign the likes of Toni Kroos, Thiago Alcantara, James Rodriguez and Edinson Cavani, according to a report in football Espana.“Certainly I’ll be coaching again soon because it’s what I like doing and what I’ve done all my life,” he told TVE. during his visit to La Rioja in Spain, where his son Elyaz played forLos Blancos’ Infantil A side, managed by Xabi Alonso.